It is widely acknowledged that Freud was one of the most influential and groundbreaking theorists of the twentieth century. His theories permeate almost every aspect of modern-day life: literature, philosophy, science, politics, art, religion and culture. Yet his thought and writings are notoriously difficult for students to grasp. 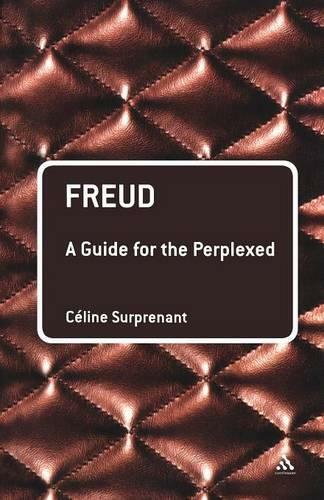 "Freud: A Guide for the Perplexed" is a clear and thorough account of Freud's thought, providing an ideal guide to the important and complex ideas of this key thinker. The book introduces some of the key Freudian concepts and themes and examines the ways in which they intersect with issues in philosophy and literary theory. Geared towards the specific requirements of students who need to reach a sound understanding of Freud's thought, the guide also provides a cogent and reliable way into some of the most important debates surrounding certain psychoanalytic concepts and their application outside the clinical domain. It discusses, for example, Freud's ideas on the comic in relation to his views on religion. This is the ideal companion to the study of this most influential and challenging of theorists.